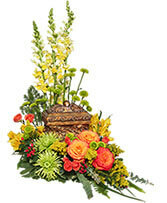 Bright yellow and blue flowers to surround an urn or beloved photo. 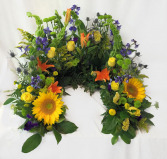 Includes sunflowers, orange lilies, yellow roses and more. Please call for availability and pricing. 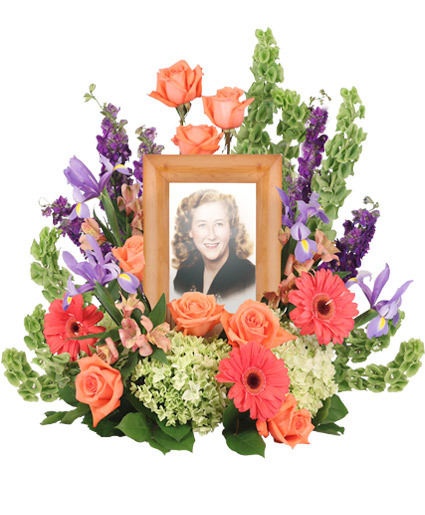 An assortment of fall flowers in a 3/4 ring to embrace an urn or photo of a loved one. Please call for pricing and flower availability.